In our research at the MIT Media Lab, we have found that children are most motivated when they are working on projects based on their interests. Our work builds on the ideas of the educational philosopher John Dewey who referred to children’s interests as “natural resources” that can fuel their learning and development. As our group developed the Scratch programming language, we focused on providing opportunities for children to build on their interests. No matter what their interests are, they can create a project about them in Scratch. Using the Scratch coding environment, they can program games, stories, and animations about any topic they care about. In the Scratch online community, kids share projects that range from games about tacos to animations about cats to simulations about trees. As they work on projects that interest them, they learn how to code. Even more importantly, they develop broader skills, including thinking creatively, reasoning systematically, and working collaboratively. 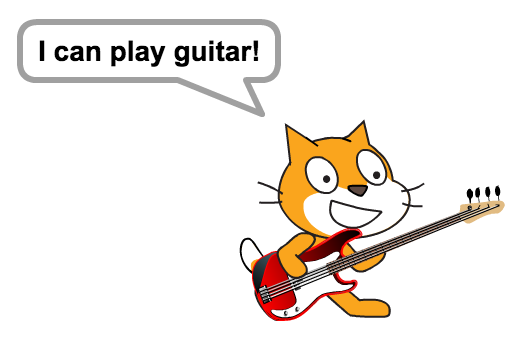 How can your kid’s interests motivate their learning with Scratch? Here are just 5 of many ways! We find that kids’ passions, such as their favorite animals, can be a source of creative inspiration as they express themselves with Scratch. In addition, working on projects that they care about can motivate kids to try new features of Scratch and expand their programming abilities. For example, lots of kids on Scratch like animals. We met one Scratcher, GPWDOG, who loves all animals, and especially dogs. So it makes sense that, since first joining Scratch, many of their projects have featured dogs and other animals, including an interactive pet talent show, an animation of the family dog flying, and a customizable dog. GPWDOG’s projects span many genres, including art, games, animations, and simulations—and now total over 100 projects! While creating all of these projects, they have used programming concepts such as iteration, variables, and procedures. Code from GPWDOG’s flying dog project. When we create resources for learning Scratch, we often take inspiration from projects that kids on Scratch already like to make. For example, we included a Virtual Pet tutorial as one of our several interest-based activities for getting started, which you can access at scratch.mit.edu/go. Right now on Scratch, we’re seeing an influx of projects about fidget spinners, those fidgeting toys that are all the rage these days. 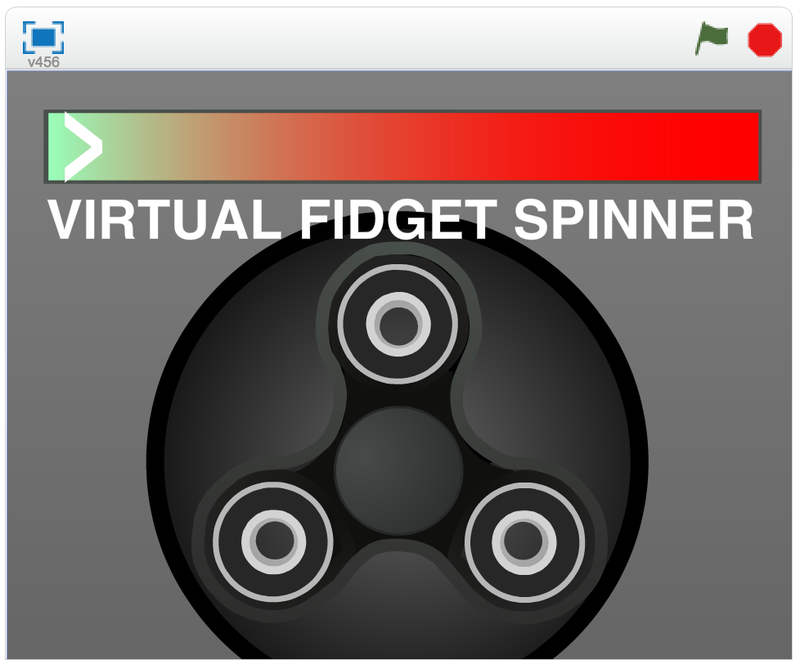 One of those projects, Virtual Fidget Spinner, lets you change the look and spinning speed of a spinner on the screen. 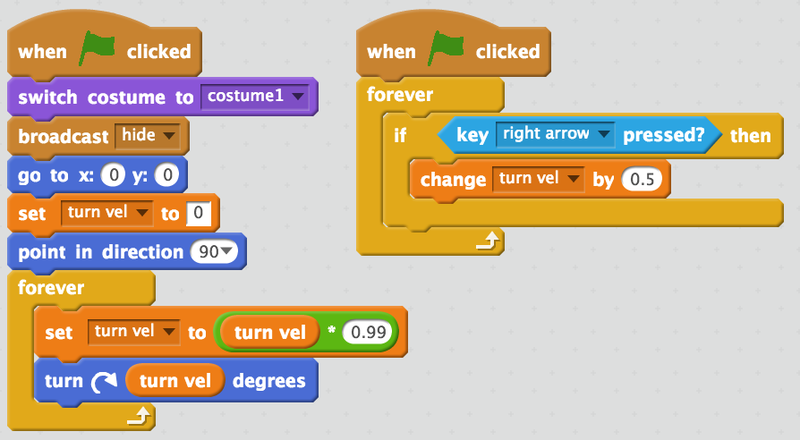 All projects on Scratch can be remixed—other Scratchers can save a copy, add their own ideas, and share—and fidget spinner projects especially lend themselves to remixing. In fact, over 100 Scratchers have remixed Virtual Fidget Spinner to add their own spinner designs, tricks, and ways to interact! Just in the past few months alone, we’ve seen hundreds of projects trying out different ways to display and program spinners. The scripts of these projects often explore programming concepts like sprite movement and variables and physics concepts like velocity and acceleration. Scripts from another fidget spinner project. We love seeing how kids can inspire each other to work on creative projects that they care about—and stretch their Scratch skills as they do so. 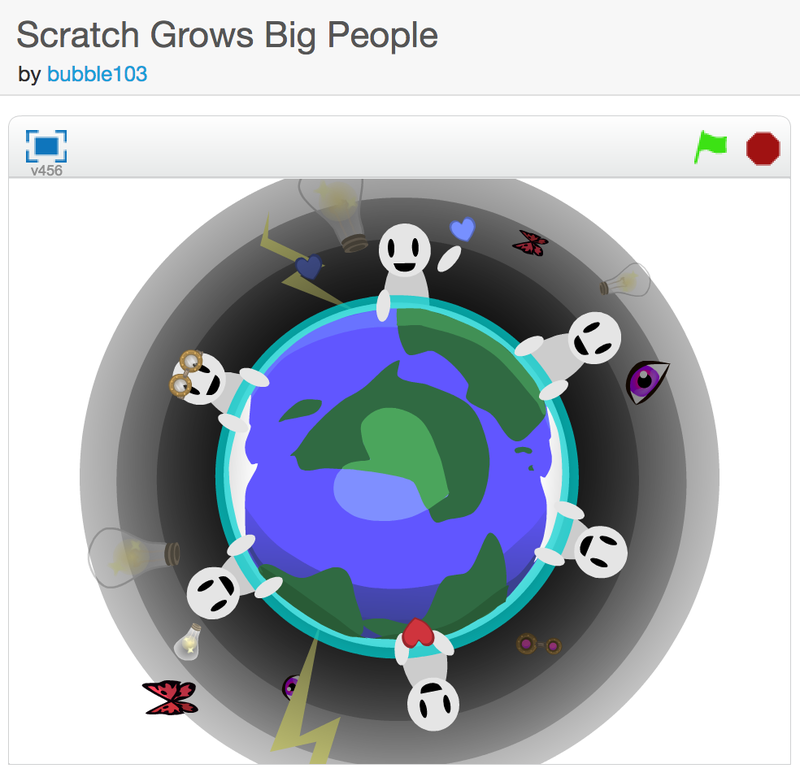 On the Scratch website, Scratchers often gather in studios, which are online spaces where they can share projects and discuss particular topics, themes, or interests. Scratchers have created studios about topics ranging from platformer games to music creation. Sometimes the interests that connect Scratchers surprise us! In 2015, one Scratcher noticed some projects about fashion throughout history and wanted to encourage others to make more. So, they created a studio called Historical Fashion. 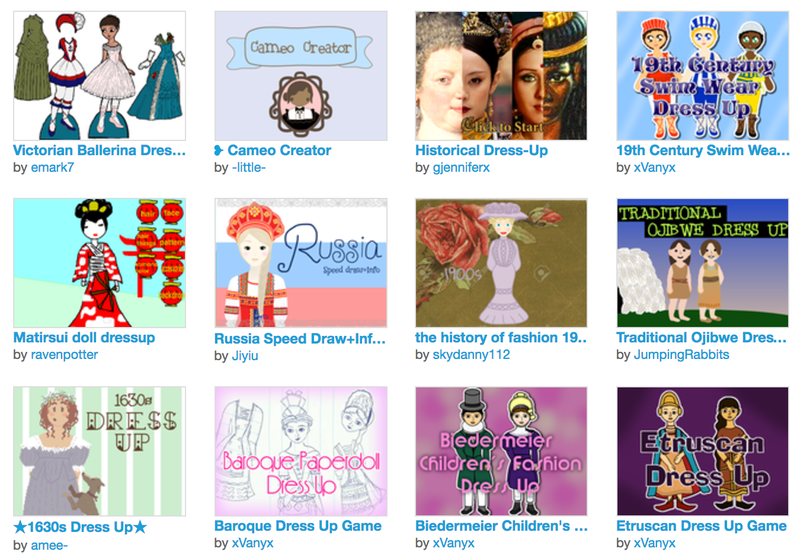 Since then, young people have created over 100 projects for the studio, including dress-up games featuring historical clothing and informative drawings and animations about the history of fashion around the world. A selection of projects in the Historical Fashion studio. In the comments of the studio, studio members talk about their interests in fashion and history, help each other research, and give each other tips for improving their projects. The members of Historical Fashion are encouraging each other to learn about fashion, about history, and about designing and programming Scratch projects. When kids “find their people,” as bubble103 did, they can gain a sense of belonging—and encourage each other to learn and create. It’s amazing to see what young people can accomplish and learn while working together on ambitious projects. For example, over the course of many months, over 25 Scratchers collaborated digitally to create this animated music video for the Coldplay song Viva La Vida. Collaborators separately drew and programmed animations to go with chunks of the song, which an organizer then stitched together. But they didn’t stop there—instead of using a pre-recorded version of the song, Scratchers recorded themselves singing it or playing it on an instrument. The final project combines their recording into one soundtrack, to spectacular results. You might think that collaborations this cool are relatively uncommon, but actually, we see them a lot on the Scratch website. Many Scratchers have organized multi-animator projects, like the Viva La Vida project, for their favorite songs. Other Scratchers will embark on months-long collaborations to create a complex game, taking turns adding to the project. A game made by two Scratchers. 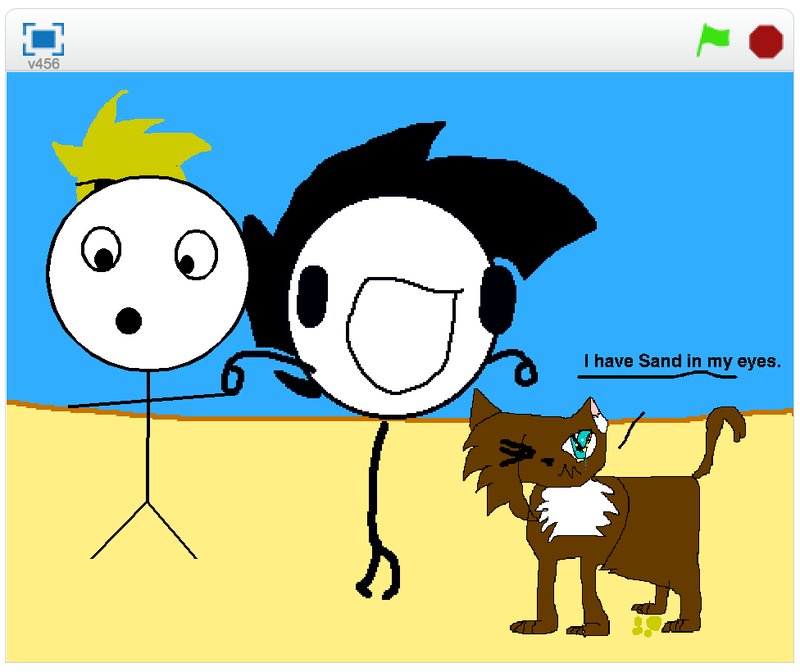 Another favorite way to participate in collaborative projects is by taking part in remix chains, like “Add Yourself Steppin on the Beach,” which encourages other Scratchers to remix and add their own characters dancing in a scene. 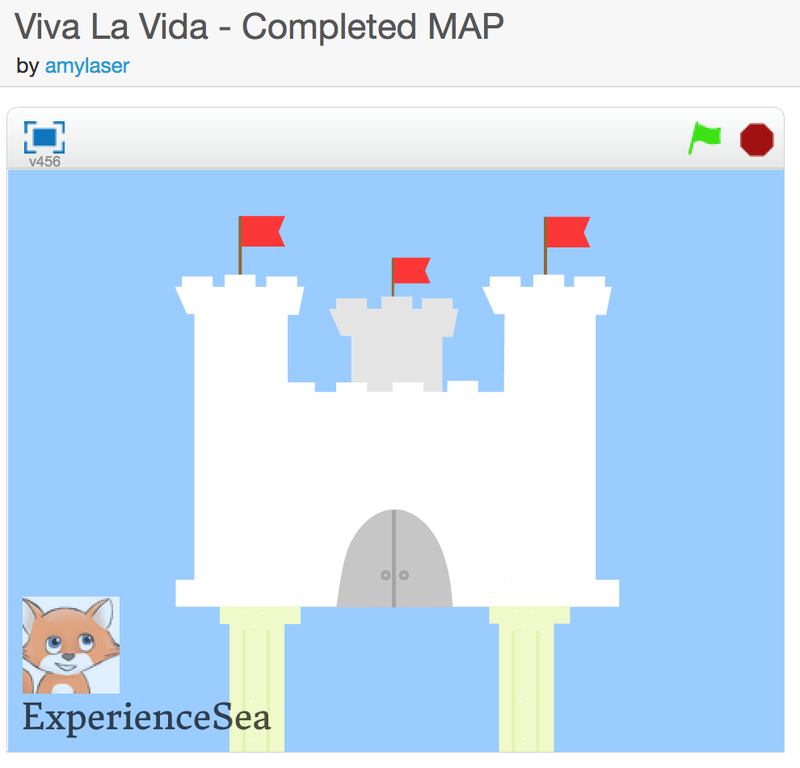 These projects can be a fun way to get started working collaboratively on Scratch projects. Young people who have been using Scratch for a while often say that Scratch has not only empowered them to create projects based on their interests, but it has introduced them to new interests. Kids have told us that through building Scratch projects and meeting others in the Scratch online community, they’ve become more interested in math, have found new genres of music they enjoy, have been encouraged to start drawing—and much more! Kids often introduce their interests to their peers with tutorials and guides in the form of Scratch projects. Sometimes they make projects to show other Scratchers how to make aspects of a specific kind of Scratch project. For example, this project shows how to store a high score in a game. Scratchers also make tutorials for their other interests, like this guide for folding an origami Princess Leia. As you can see, young people’s interests can way to start using Scratch. Through using Scratch, they can develop new skills and interests, including programming, music, game design—and even origami! Visit Things to Try on Scratch, where they can learn how to design a game, create a story, make music, and more. Use the search bar on the Scratch website and try searching for anything that interests them– their favorite sport, cartoon character, or craft activity, for example. The projects they find may be a source of inspiration! Once they make a free Scratch account, they can follow the creators of those projects to see new projects they create. Check out the Scratch Design Studio row on the Scratch homepage to see new project ideas that everyone in the Scratch community can make—including newcomers. For more info about Scratch, visit About Scratch.